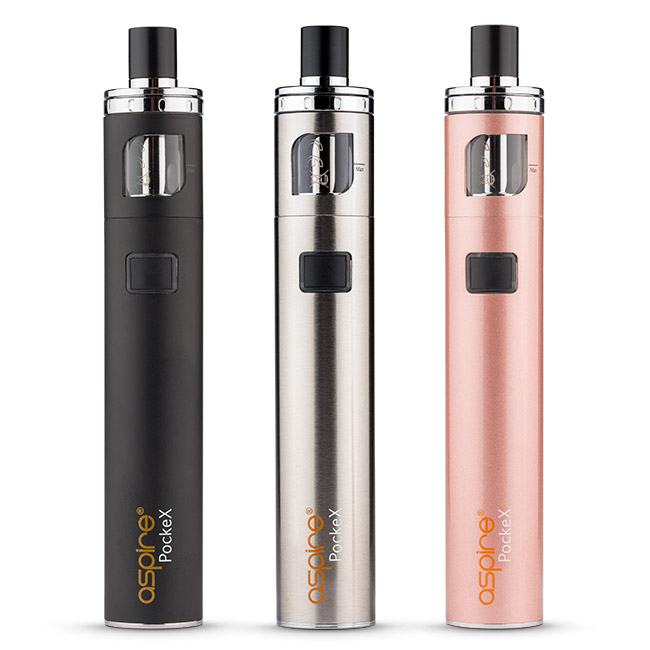 The Aspire PockeX is a brand new all-in-one e-cig. 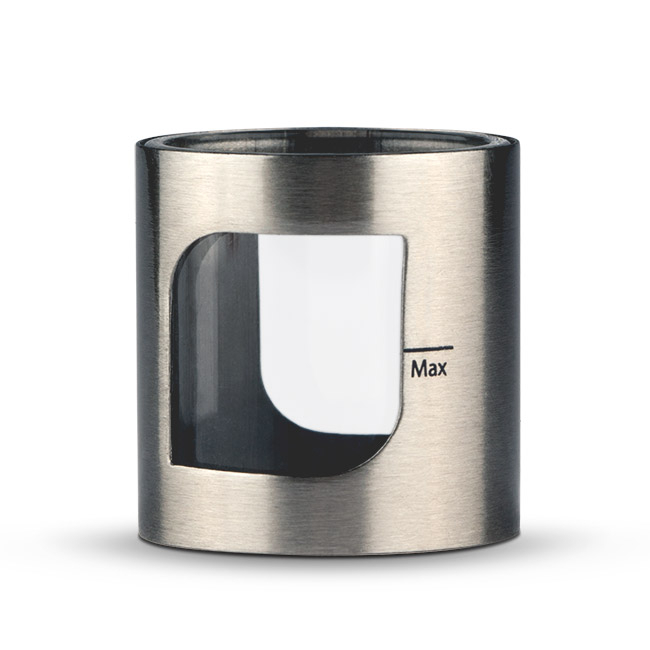 Featuring an innovative top fill design and U-tech coils, the PockeX offers high performance in a small device. 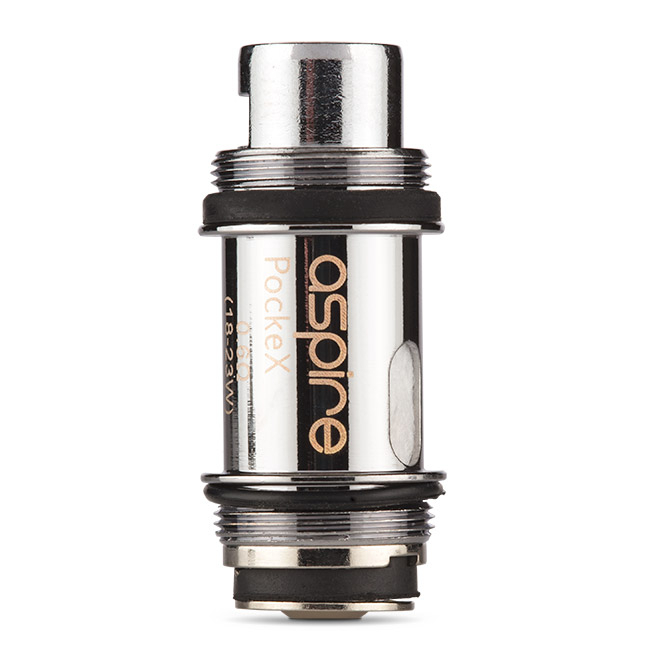 The Aspire PockeX is an all in one device from Aspire with a compact and lightweight design. 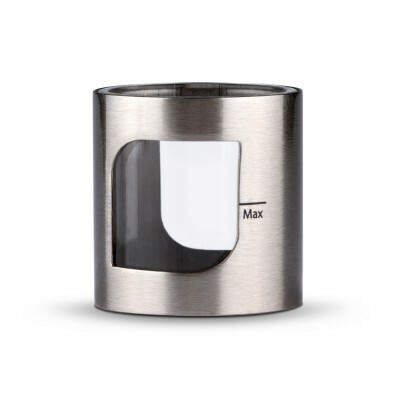 It has a unique top fill and top coil system to avoid leaking when changing your coil. Featuring Aspire’s own U-Tech kanthal coils with a resistance of 0.6ohms. The fixed (medium) airflow is perfect for flavour chasers and those wanting deep, direct to lung inhales. The powerful 1500mAh battery and 0.6ohm steel coils are perfectly paired for great flavour production and large volumes of vapour. As with all coils, it’s important to prime your coil before using it for the first time. 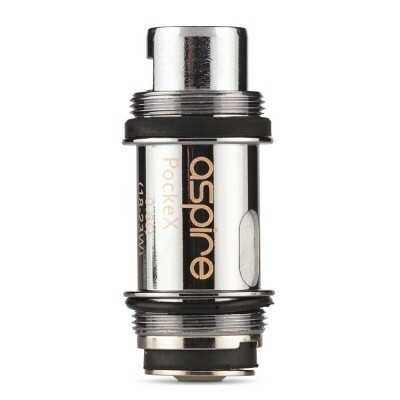 The PockeX comes with large ports on the coil. Add a couple of drops of e-liquid to these ports and down the center of the coil. Then, after filling the tank with e-liquid, allow the coil to soak for at least five minutes before use. First you want to unscrew the top cap. Then take the coil (after adding e-liquid to the ports and coil as described above) and attach it to the top piece. The PockeX is a top fill device. Unlike most tanks, you do not need to remove the coil in order to fill the tank. 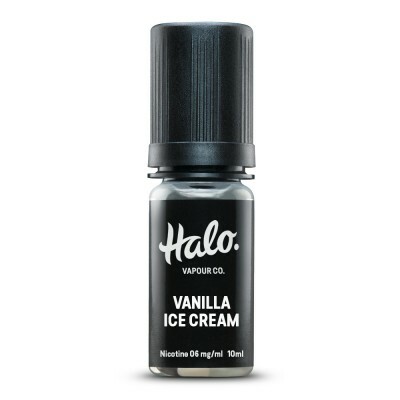 Simply unscrew the top piece with the coil, pour in the e-liquid and replace the top piece. This simple process is demonstrated in the diagram below. Be sure not to fill above the marked Max line. It’s worth noting that if you look down the mouth piece, you’ll see a hole. This is more evident if you remove the mouthpiece. This is NOT for filling - pouring e-liquid down here would flood the center tube. To turn on the PockeX simply click the fire button five times (you need to press these quite rapidly). Then simply press the large fire button, inhale - and enjoy :) To turn it off (always a good idea before putting it in your pocket or bag!) press the button five times again. What do the battery light indicators mean? Seeing a blue light? 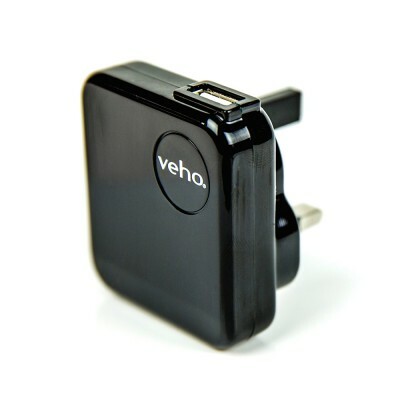 That means the PockeX has more than 30% charge in, so you’ve got plenty of vaping time left! When it drops below 30%, the light will turn orange to indicate a low battery. When you’re charging the PockeX the light will turn red - this is just to show you it is in the process of charging.